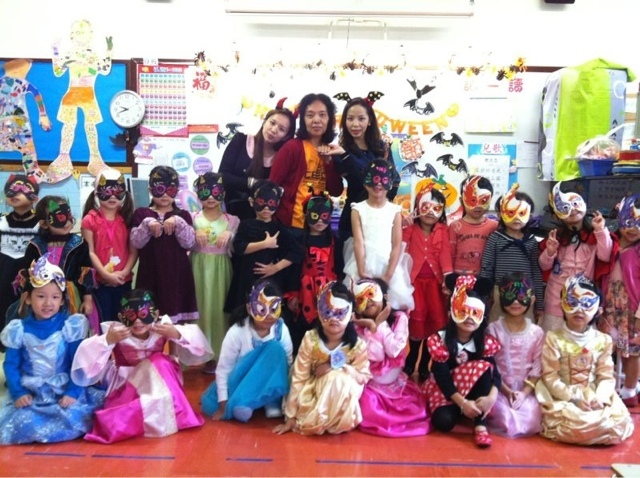 Natalie's teacher sent along images from their Halloween class party. Here she is with the other girls in her class. So many princesses! There's also a photo of all the boys in her class. 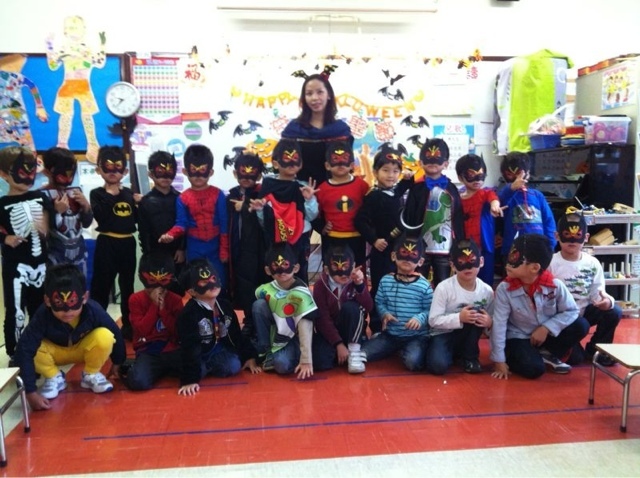 So many superheroes!